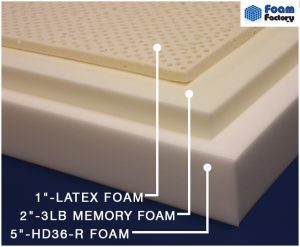 Sometimes despite your best efforts to protect your memory foam mattress or memory foam pillow from damage, a spill or accident will occur. When this happens, you need to spring into action immediately before the spill has a chance to set in and ruin the appearance of your bedding. Here are some tips on how to safely clean up spills from memory foam to prevent permanent staining and odors. Blot up as much of the moisture as you can. Use a paper towel or clean cloth to dry up any moisture that has not yet seeped deep into the memory foam. Be sure to use a dabbing motion to blot the moisture rather than a circular motion, which will only rub the moisture deeper into the mattress or pillow. Sprinkle the affected area with baking soda and let it sit for 10 minutes. Baking soda serves as an additional drying agent to soak up any remaining moisture. Give the baking soda at least 10 minutes to do its work. Vacuum up the baking soda. Use the upholstery attachment on your vacuum cleaner to vacuum away the baking soda after the 10 minutes have elapsed. Reassess the affected area and repeat steps 1-3 if needed. Before moving on, inspect the affected area again to make sure it is as dry as possible. If you feel you can remove even more moisture, try the first three steps again. Deodorize with a vinegar and water solution. Mix equal parts vinegar and water in a spray bottle and mist the affected area with the solution to help eliminate any lingering odors. Let the memory foam mattress or pillow dry completely before putting linens back on. A small area should dry out thoroughly and be ready for use within a few hours; larger areas, however, will take considerably longer. To help speed up the process, you can try aiming a fan at the damp area until dry. Consider using a protective cover in addition to bedsheets. To give your memory foam mattress an extra layer of protection and extend its life, use a protective cover beneath your bedsheets.